Experienced journalist able to do lives and reporting for print, radio and tv. 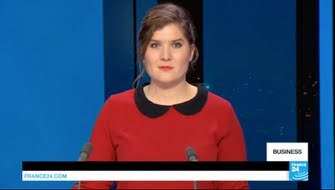 Back in the Netherlands after almost 2 years as a presenter and journalist at France 24 English in Paris and 4 years in Beirut, Lebanon. Having seen the Syrian refugee crisis develop first hand when I was based in Lebanon between 2011-2015, I now continues to cover the refugee crisis in Europe. I have reported extensively from the Middle East as well a along the entire Balkan route and Calais. Previous clients include the BBC, CBS, the Independent, Foreign Policy and the Economist. Presenting the business bulletin live in the France 24 studio in Paris. I regularly reported on the situation in Syria for France 24 between 2013 and 2016. In August-September 2015 I followed migrants for two weeks along the entire migrant route, doing multiple lives a day as well as filming a daily report.